Walter Bahr has spent the last 67 years correcting the soccer world’s somewhat mistaken belief about the most famous moment of his career. It has been stated many times that Joe Gaetjens headed a cross from Bahr into the net for the goal that beat England in the 1950 World Cup. Actually, as Bahr will tell you, it wasn’t a cross, or at least wasn’t intended as one. It was a shot that Bahr was attempting to put inside the far post before Gaetjens intervened. Bahr, who is celebrating his 90th birthday on Saturday and arguably the greatest soccer player ever produced by Philadelphia, points out this fact rather gently, as is his nature. In the movie “Game of Their Lives,” he was portrayed as a grimly serious, almost scowling man. Actually, the real Walter Bahr is as jovial and friendly as anyone you’ve ever met. I didn’t meet Walter Bahr myself until he was in his mid-60s, but I quickly began to develop a very positive impression of him. That impression is centered around the fact that, unlike some retired athletes, he doesn’t view his own playing era through rose-colored glasses. Perhaps this is because he has three sons who were accomplished soccer players or because he spent nearly 40 years coaching young players. For whatever reason, he has an appreciation for the younger generation. Of course, Walter once was part of a younger generation himself. American soccer in recent years has been very concerned about prodigies, like Christian Pulisic, Freddy Adu, Bobby Convey and Landon Donovan. 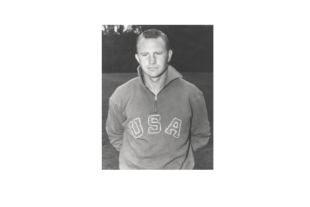 Few realize that Walter Bahr, better known for his World Cup heroics, was one of the prototypes of the American soccer prodigy. When Walter made his debut with the Philadelphia Nationals of the American Soccer League against the Philadelphia Americans on December 5, 1943, he was only 16 years old. He ended up playing 10 seasons for the Nationals but the first five were as an amateur, so he could preserve his eligibility for Temple University and the U.S. Olympic team. My impression of Walter Bahr also stems from a meeting that I attended in New Jersey about 20 years ago with a group consisting mostly of former players from his era. Walter, who had a long drive from central Pennsylvania, was late arriving. And when he walked into the room, the tall stories and off-color jokes ceased, and the huge degree of respect in which Walter was held by his contemporaries was immediately obvious. Walter, who was born in Philadelphia on April 1, 1927, followed the traditional path for a young soccer player from Kensington, beginning with Lighthouse Boys Club and Northeast High School. At Lighthouse, which once was one of the leading youth soccer organizations in the country, his coaches included Bart McGhee, who had played for the United States in the 1930 World Cup. The Northeast High of Walter’s years was not at the current location on Cottman Avenue. This one was located about five miles to the south, in the building later occupied by Edison High School. Walter won a lot of games for Northeast as a player, maybe more than number of the times he later beat Northeast as a coach at Frankford High School. Walter’s path has turned a bit westward in recent decades. For the first 47 years of his life, Walter lived in the Philadelphia area but when he became the soccer coach at Penn State in 1974, he moved west. For decades, he has lived in Boalsburg, Pa., a few miles from State College. Still, more than half of Walter’s coaching career was in Philadelphia – 17 years at Frankford High School and three years at Temple (before his 14 years coaching at Penn State). Walter was captain of the U.S. national team in most of the 19 games that he played for it between 1948 and 1957. Ironically, he was not captain (at least, not officially) the day of the landmark victory over England in 1950. Harry Keough, one of Walter’s most famous teammates, once described the rotation of captains at the 1950 World Cup to me. “I was the captain in the first game against Spain because I spoke Spanish,” Keough said. “Ed McIlvenny was the captain in the second game against England because he was born in Scotland. And Walter was the captain in the third game against Chile because he was the real captain anyway.” That’s Walter Bahr. The real Captain America. Author: Roger Allaway The Historian of the National Soccer Hall of Fame, Roger worked for more than 30 years as a newspaperman in Detroit, Toledo, and Philadelphia, finishing his career as a copy editor at the Philadelphia Inquirer. He is past president of the Society for American Soccer History. Check out his Big Soccer blog for more soccer history. Truly a nice man and a good coach, almost egoless, allowing the players that he coached to flourish with minimal direction. I know because he was my coach when I was an american kid playing for the Philadelphia Spartans in 1970 and 1971. There were a lot of good older european and south american pros on that team, but he gave me a shot to play and it was wonderful. Even though he is associated with Philly, it would be nice if DC did something to honor him tomorrow as a great American player. From a gym class, he asked a skinny kid with glasses if he would come out and play as the JV goalie, 3 year’s later with two City Championship shutouts, he got that kid a scholarship to PSU, an ever grateful Pioneer!!! Happy birthday to a great coach, and by all reports, a good man. Julian and I drove out to Boalsburg on a beautiful day in late March, and Walter and his wife, Davies, welcomed us warmly, and generously spent a couple hours talking with Julian — then a HS sophomore, and keeper for his school’s varsity — about soccer. They’re great people, and Coach Bahr is an excellent, funny raconteur. He’s really one of the living treasures of U.S. athletics. I knew Walt back in Northeast High School and he was a great classmate. He will always be remembered at Northeast I am certain.